Rio Tinto has successfully deployed the world’s first autonomous trains at its iron ore operations in Western Australia as part of the $940 million AutoHaul programme. The company, which now boasts the world’s first automated heavy-haul, long distance rail network, has been steadily increasing the number of autonomous journeys across its world-class iron ore operations in WA since completing the first loaded run in July. 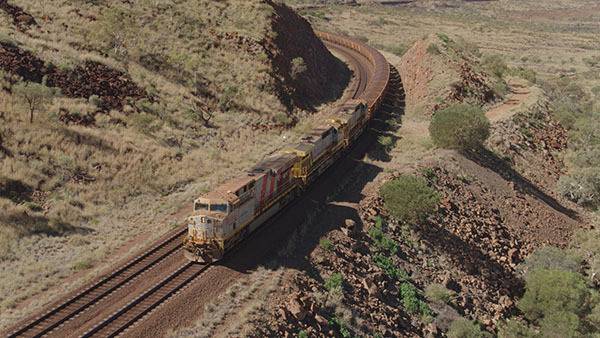 Rio Tinto Iron Ore managing director Rail, Port & Core Services Ivan Vella said the company currently operates about 200 locomotives on more than 1,700 kilometres of track in the Pilbara, transporting ore from 16 mines to four port terminals. “The safe and successful deployment of AutoHaul across our network is a strong reflection of the pioneering spirit inside Rio Tinto,” Mr Vella added. He said the company will continue to refine its autonomous operations over the coming months to maximise value. “We continue to work closely with drivers during this period and do not expect to make any redundancies in 2019 as a result of the deployment of AutoHaul,” Mr Vella concluded.